Hillsman Modular Molding has full tooling and production capabilities, specializing in production of small thermoplastic parts to customer specification in our modular mold, base saver, M.U.D. and conventional systems. 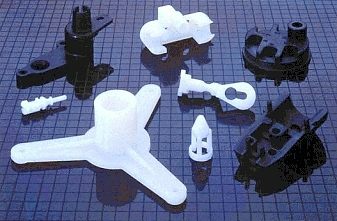 HMMI is committed to being the preferred source for small plastic parts. Please take the time to browse through our web site and learn how our staff of engineers and manufacturing professionals can help you develop your new product or improve the quality of your existing products. Please don't leave our site without first checking out our leading edge and innovative Modular molding system. Modular Molding just might be the best kept secret in molding today and can save you substantial dollars over Conventional Molding.